You might have guessed by now that I have something of a lip balm addiction. From Fresh to Bonne Bell, I've tried pretty much every balm on the market trying to make my lips as soft and smooth as possible. 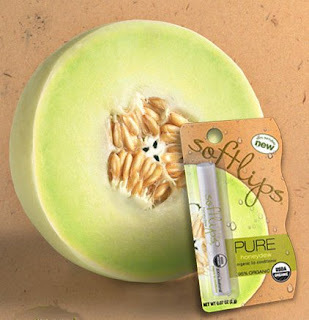 So when I had the opportunity to check out Softlips Pure Honeydew 100% Natural Organic Lip Conditioner, I simply had to do it. And you know what? This stuff really and truly delivers. It's formulated with a blend of beeswax, oils and my fave ingredient, the one and only shea butter, to make lips feel super soft. It's even got Vitamin E and cucumber extract for extra moisturization and conditioning! I love that it goes on smoothly and isn't waxy, and that it lasts for hours without the need for reapplication. Not only that, but it's a great way to get your fix of honeydew every day. I'm a huge fan of the juicy fruit, so the fact that this balm tastes and smells just like the green goodness really makes my mouth water.